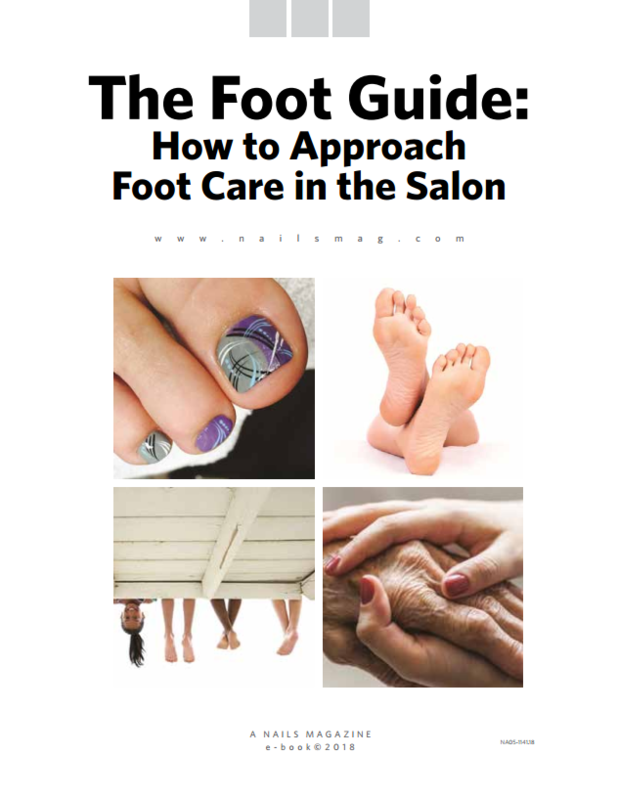 Polyglass technology found in Gelous Flexi Gel and Sculpt-X products offer superior adhesion, flexibility, and wearability, making the line of gel ideal for toenail repair. Learn how to execute a toenail reconstruction service that can be lucrative for you and life-changing for your clients. 1. Prep the nails and remove shine. 2. File the nail to reduce thickness, if necessary. Cleanse and dehydrate the nail plate with alcohol. 3. Apply a thin coat of Gelous Flexi Gel and cure in a UV lamp for 30 seconds. 4. Using Gelous Sculpt-X gel, extend the nail from the free edge to create the desired shape and length. Cure. 5. Add a second, thin coat to the entire extension. Do not cure. Apply a drop of Gelous Sculpt-X gel to fill in the area where the natural nail and the extension meet. Contour the nail accordingly. Cure. Remove the inhibition layer. 6. Use a 100-grit file to shape and smooth out the newly contracted nail and shape as desired. Repeat with buffer to create a smooth surface for color application. Remove any debris. 7. Apply one coat of Gelous Colour FX. Cure. Repeat with a second coat for full coverage. Cure. 8. Seal the entire nail with Gelous Nail Armour Top Coat and cure for two minutes. Remove the inhibition layer. Complete the pedicure service by applying cuticle oil. To see a step-by-step video applicaiton, click here. For more information, visit www.fanaircosmetiques.com.